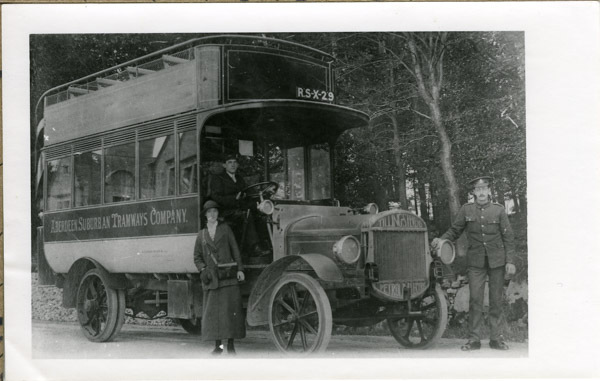 Double decker Tillingstevens petrol electric registration number RSX 29 shown with driver, conductress and man in military uniform. 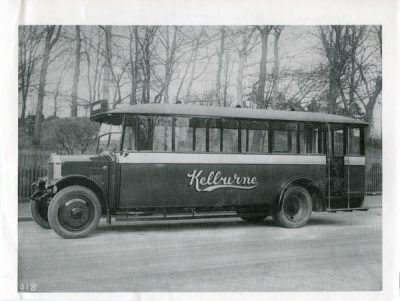 This vehicle was part of the Aberdeen Suburban Tramways Company.On 11th June 1911, Tilling introduced a new vehicle to their motorbus fleet. 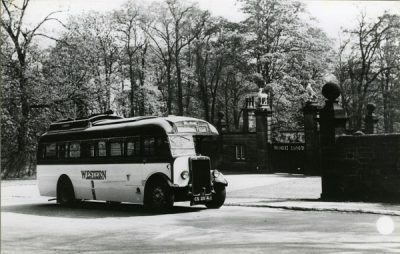 The Tilling- Stevens TTA1 was the first successful petrol-electric vehicle which did away with the need to change gear, making it very easy to drive. 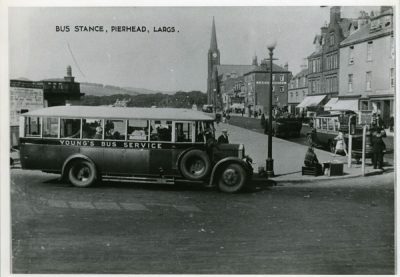 The main fault of the vehicle lay in it’s performance on hills; climbing, the motor ran too slowly to deliver enough power to the electrical equipment and descending, the engine could not be used to brake. 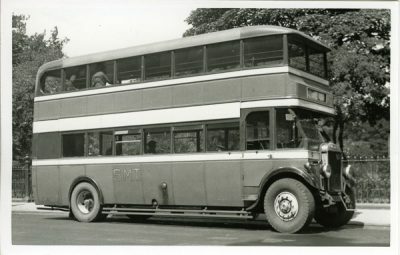 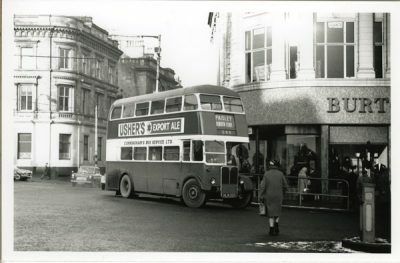 This type of bus formed the basis of many of the Tilling-Stevens fleets for years.